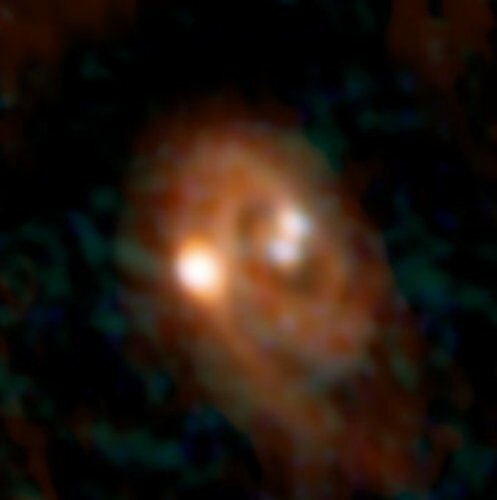 An international collaboration of astronomers, led by a group at the Swiss Federal Institute of Technology (ETH) in Zurich, Switzerland, has used the unrivalled observing power of M– USE on the Very Large Telescope (VLT) at ESO’s Paranal Observatory to study gas around distant active galaxies, less than two billion years after the Big Bang. These active galaxies, called quasars, contain supermassive black holes in their centres, which consume stars, gas, and other material at an extremely high rate. This, in turn, causes the galaxy centre to emit huge amounts of radiation, making quasars the most luminous and active objects in the Universe. The study involved 19 quasars, selected from among the brightest that are observable with M– USE. Previous studies have shown that around 10% of all quasars examined were surrounded by halos, made from gas known as the intergalactic medium. These halos extend up to 300,000 light-years away from the centres of the quasars. 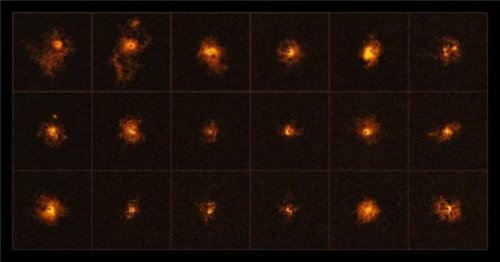 This new study, however, has thrown up a surprise, with the detection of large halos around all 19 quasars observed — far more than the two halos that were expected statistically. The team suspects this is due to the vast increase in the observing power of M– USE over previous similar instruments, but further observations are needed to determine whether this is the case. “It is still too early to say if this is due to our new observational technique or if there is something peculiar about the quasars in our sample. So there is still a lot to learn; we are just at the beginning of a new era of discoveries,” says lead author Elena Borisova, from the ETH Zurich. The 19 newly-detected halos also revealed another surprise: they consist of relatively cold intergalactic gas — approximately 10,000 degrees Celsius. This revelation is in strong disagreement with currently accepted models of the structure and formation of galaxies, which suggest that gas in such close proximity to galaxies should have temperatures upwards of a million degrees. 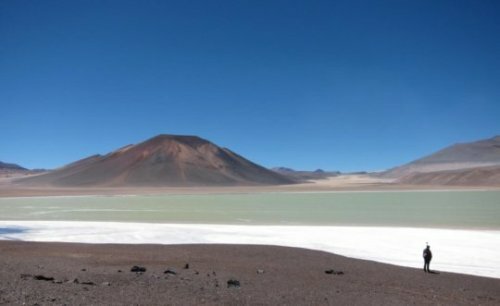 A new analysis of the topography of the central Andes shows the uplifting of Earth’s second highest continental plateau was driven in part by a huge zone of melted rock in the crust, known as a magma body. The Altiplano-Puna plateau is a high, dry region in the central Andes that includes parts of Argentina, Bolivia, and Chile, with vast plains punctuated by spectacular volcanoes. In a study published October 25 in Nature Communications, researchers used remote sensing data and topographic modeling techniques to reveal an enormous dome in the plateau. About 1 kilometer (3,300 feet) high and hundreds of miles across, the dome sits right above the largest active magma body on Earth. The uplifting of the dome is the result of the thickening of the crust due to the injection of magma from below, according to Noah Finnegan, associate professor of Earth and planetary sciences at UC Santa Cruz and senior author of the paper. 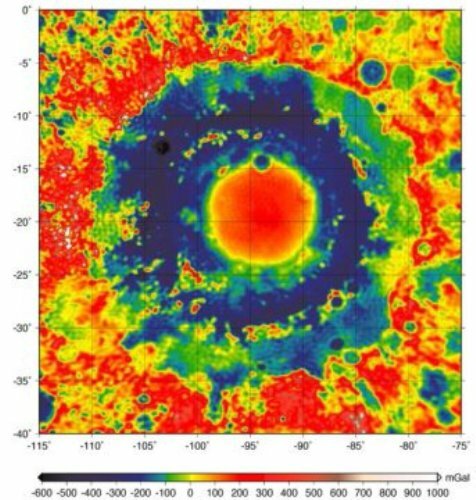 “The dome is Earth’s response to having this huge low-density magma chamber pumped into the crust,” Finnegan said. 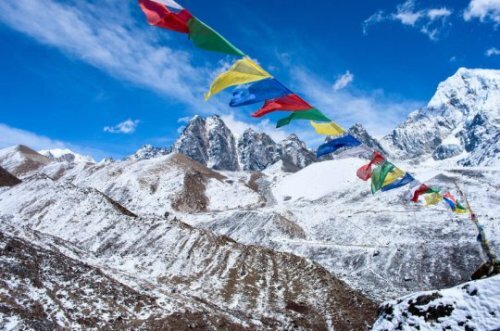 “It’s a large part of the evolution of the Andes that hadn’t been quantified before,” Perkins said. The Altiplano-Puna Volcanic Complex was one of the most volcanically active places on Earth starting about 10 million years ago, with several super-volcanoes producing massive eruptions and creating a large complex of collapsed calderas in the region. Although no major eruptions have occurred in several thousand years, there are still active volcanoes and geothermal activity in the region. In addition, satellite surveys of surface deformation since the 1990s have shown that uplifting of the surface is continuing to occur at a relatively rapid rate in a few places. At Uturuncu volcano located right in the center of the dome, the uplift is about 1 centimeter (less than half an inch) per year. Rob Chancia, a University of Idaho doctoral student, spotted key patterns in the rings while examining decades-old images of Uranus’ icy rings taken by Voyager 2 in 1986. He noticed the amount of ring material on the edge of the alpha ring — one of the brightest of Uranus’ multiple rings — varied periodically. A similar, even more promising pattern occurred in the same part of the neighboring beta ring. “When you look at this pattern in different places around the ring, the wavelength is different — that points to something changing as you go around the ring. There’s something breaking the symmetry,” said Matt Hedman, an assistant professor of physics at the University of Idaho, who worked with Chancia to investigate the finding. Their results will be published in The Astronomical Journal and have been posted to the pre-press site arXiv. Chancia and Hedman are well-versed in the physics of planetary rings: both study Saturn’s rings using data from NASA’s Cassini spacecraft, which is currently orbiting Saturn. Data from Cassini have yielded new ideas about how rings behave, and a grant from NASA allowed Chancia and Hedman to examine Uranus data gathered by Voyager 2 in a new light. Specifically, they analyzed radio occultations — made when Voyager 2 sent radio waves through the rings to be detected back on Earth — and stellar occultations, made when the spacecraft measured the light of background stars shining through the rings, which helps reveal how much material they contain. They found the pattern in Uranus’ rings was similar to moon-related structures in Saturn’s rings called moonlet wakes. 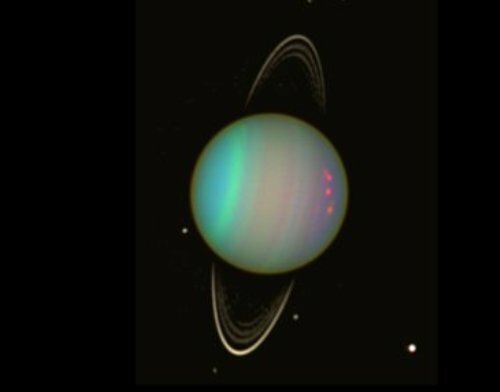 The researchers estimate the hypothesized moonlets in Uranus’ rings would be 2 to 9 miles (4 to 14 kilometers) in diameter — as small as some identified moons of Saturn, but smaller than any of Uranus’ known moons. Uranian moons are especially hard to spot because their surfaces are covered in dark material. Hedman said their findings could help explain some characteristics of Uranus’ rings, which are strangely narrow compared to Saturn’s. The moonlets, if they exist, may be acting as “shepherd” moons, helping to keep the rings from spreading out. Two of Uranus’ 27 known moons, Ophelia and Cordelia, act as shepherds to Uranus’ epsilon ring. “It’s exciting to see Voyager 2’s historic Uranus exploration still contributing new knowledge about the planets,” said Ed Stone, project scientist for Voyager, based at Caltech, Pasadena, California. Voyager 2 and its twin, Voyager 1, were launched 16 days apart in 1977. Both spacecraft flew by Jupiter and Saturn, and Voyager 2 also flew by Uranus and Neptune. Voyager 2 is the longest continuously operated spacecraft. It is expected to enter interstellar space in a few years, joining Voyager 1, which crossed over in 2012. Though far past the planets, the mission continues to send back unprecedented observations of the space environment in the solar system, providing crucial information on the environment our spacecraft travel through as we explore farther and farther from home. NASA’s Jet Propulsion Laboratory, a division of Caltech in Pasadena, California, built the twin Voyager spacecraft and operates them for the Heliophysics Division within NASA’s Science Mission Directorate in Washington. Computer simulations by astrophysicists at the University of Bern of the formation of planets orbiting in the habitable zone of low mass stars such as Proxima Centauri show that these planets are most likely to be roughly the size of Earth and to contain large amounts of water. In August 2016, the announcement of the discovery of a terrestrial exoplanet orbiting in the habitable zone of Proxima Centauri stimulated the imagination of the experts and the general public. After all this star is the nearest star to our sun even though it is ten times less massive and 500 times less luminous. This discovery together with the one in May 2016 of a similar planet orbiting an even lower mass star (Trappist-1) convinced astronomers that such red dwarfs (as these low mass stars are called) might be hosts to a large population of Earth-like planets. How could these objects look like? What could they be made of? Yann Alibert and Willy Benz at the Swiss NCCR PlanetS and the Center of Space and Habitability (CSH) at the University of Bern carried out the first computer simulations of the formation of the population of planets expected to orbit stars ten times less massive than the sun. “Our models succeed in reproducing planets that are similar in terms of mass and period to the ones observed recently,” Yann Alibert explains the result of the study that has been accepted for publication as a Letter in the journal “Astronomy and Astrophysics.” “Interestingly, we find that planets in close-in orbits around these type of stars are of small sizes. Typically, they range between 0.5 and 1.5 Earth radii with a peak at about 1.0 Earth radius. Future discoveries will tell if we are correct!” the researcher adds. In addition, the astrophysicists determined the water content of the planets orbiting their small host star in the habitable zone. They found that considering all the cases, around 90% of the planets are harbouring more than 10% of water. For comparison: Earth has a fraction of water of only about 0,02%. So most of these alien planets are literally water worlds in comparison! The situation could be even more extreme if the protoplanetary disks in which these planets form live longer than assumed in the models. In any case, these planets would be covered by very deep oceans at the bottom of which, owing to the huge pressure, water would be in form of ice. Water is required for life as we know it. So could these planets be habitable indeed? “While liquid water is generally thought to be an essential ingredient, too much of a good thing may be bad,” says Willy Benz. In previous studies the scientists in Bern showed that too much water may prevent the regulation of the surface temperature and destabilizes the climate. “But this is the case for Earth, here we deal with considerably more exotic planets which might be subjected to a much harsher radiation environment, and/or be in synchronous ” he adds. To start their calculations, the scientists considered a series of a few hundreds to thousands of identical, low mass stars and around each of them a protoplanetary disk of dust and gas. Planets are formed by accretion of this material. Alibert and Benz assumed that at the beginning, in each disk there were 10 planetary embryos with an initial mass equal to the mass of the Moon. In a few day’s computer time for each system the model calculated how these randomly located embryos grew and migrated. What kind of planets are formed depends on the structure and evolution of the protoplanetary disks. “Habitable or not, the study of planets orbiting very low mass stars will likely bring exciting new results, improving our knowledge of planet formation, evolution, and potential habitability,” summarizes Willy Benz. 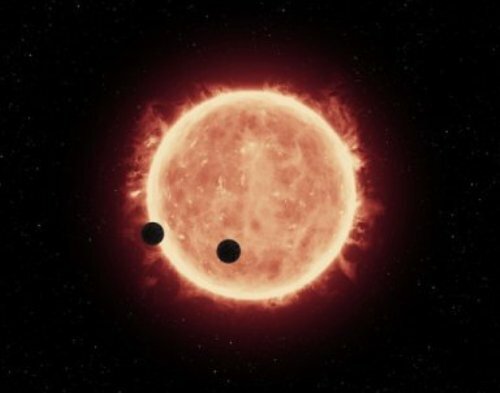 Because these stars are considerably less luminous than the sun, planets can be much closer to their star before their surface temperature becomes too high for liquid water to exist. If one considers that these type of stars also represent the overwhelming majority of stars in the solar neighbourhood and that close-in planets are presently easier to detect and study, one understands why the existence of this population of Earth-like planets is really of importance.